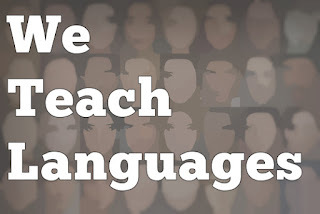 "The organizer/producer/host of We Teach Languages is Stacey Margarita Johnson. In that role, Stacey conducts most of the interviews, does editing, production, and communications as well. In her “real” job, Stacey is Assistant Director of the Vanderbilt University Center for Teaching and holds appointments as Senior Lecturer of Spanish in the Department of Spanish and Portuguese, Affiliated Faculty in the Center for Second Language Studies, and Adjunct Faculty in Peabody College’s Master’s program in English Language Learners. Stacey teaches courses in foreign language teaching methods, second language acquisition, and education. Her research includes work on classroom practices, hybrid/blended instruction, and adult language learning including transformative learning and critical pedagogy. Stacey is the founding chair of the ACTFL Critical and Social Justice Approaches special interest group (SIG)." I'm sure she would love to be contacted by practising teachers who have interesting things to say about the job. Stacy is very open-minded and deserves great credit for spending time creating these podcasts and freely sharing ideas. You can find here on the site or via Twitter.